Do you – or does someone you know – have a love-hate relationship with food? There’s now good news! 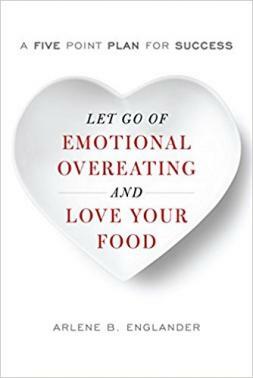 I’m pleased to announce that my book Love Your Food and Let Go of Emotional Overeating: A Five Point Plan for Success was published by Rowman & Littlefield In July 2018. It’s exciting to be able to spread the word that food is to be loved, not feared and that true satisfaction can bring real control. 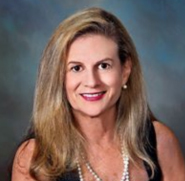 As a licensed, Columbia University-trained psychotherapist for over twenty years and a former emotional overeater, I’m so glad to share this message – one that’s healthy and happy, bringing hope to those who thought that loving their food, their lives and themselves – all at once – was an impossibility! To achieve this, though, our awareness must begin away from the table, learning how to handle stress effectively using proven techniques like CBT, exercise, and other ways for handling life’s stressors sans food. We must also take steps to make our lives, in general, more satisfying, so there’s far more on our repertoire of pleasures than food. This will also help detoxify challenging times like evenings, parties and vacations where eating may once have served as the main attraction rather than only one of many available forms of entertainment. Using the following definition of emotional overeating – eating neither for enjoyment nor for the satisfaction of hunger, but in a desperate attempt to distract ourselves from painful thoughts and feelings – I help readers become aware of both the qualitative and quantitative difference between eating in a pleasure-oriented way, versus indulging only to escape emotional pain. Mindful eating is also taught – in a simple, user-friendly fashion – so being in the moment, savoring what we like and stopping just at the point of satisfaction – is a skill that we learn, that actually happens, and becomes habitual.I’ve done everything possible to make the tips easy to remember, to practice, and fun! I know myself if a plan isn’t pleasurable it won’t be permanent. Hopefully, this book will help many. Maybe even you? !